Alberto Riehl:	All right, buddy. I’m here. This is Alberto Riehl. I’m here with Dan and Dan is one of our clients and one of our students. Dan, thank you for joining us. I’d just like to ask as far as our program goes, what’s been your favorite thing about the program so far? Dan:	My favorite thing is one, on the first call when you give your wisdom. I believe in seeking a lot of wisdom, so that really helps me get started in the morning. But pretty much how you figured how you’re gonna help your community. Obviously, on Facebook when we get in there that’s invaluable. And also, your calls. It’s not very often you can get together with a mentor and get on a car and they’re gonna give all their time for you. So, that’s hard to find. But as far as … You know, internet is kind of where everything’s going and in our industry it’s hard to just, like me, tap your war market. And when your war market is gone, what do you do? With Alberto’s system, he’s pretty much figured it out and if you’re coachable, you’re gonna be able to do this. I come from a background of having some business so when you put your own thoughts into a business that you don’t know of, you’re gonna start out slow. I like Alberto cuz he’s direct. He’s just gonna tell you hey, don’t do this. You can do that, but go ahead, you’re not gonna get anywhere. So, you know, that’s a lot said. But what I really like about Alberto is his warm heart. When I got into this business … Actually, in this program, I really didn’t think he was even gonna give me the time of the day so I really appreciate everything that Alberto does for me as far as giving a guy like me a chance to even be in a call on somebody like him where he’s been. I’m just humbled through the whole experience and I know faith comes from hearing so when you come to these meetings and you hear all the other people having success, you can only do well. So, I just … Like I said, I thank God number one. Thank two, meeting Alberto. I want to be like him as far as modeling two days a week. I want to have that oceanfront. I’m a family guy and I want to spend time with my family. And I’m gonna have my struggles and that’s just part of the system, but as long as I stick with it, like I said, I have faith. 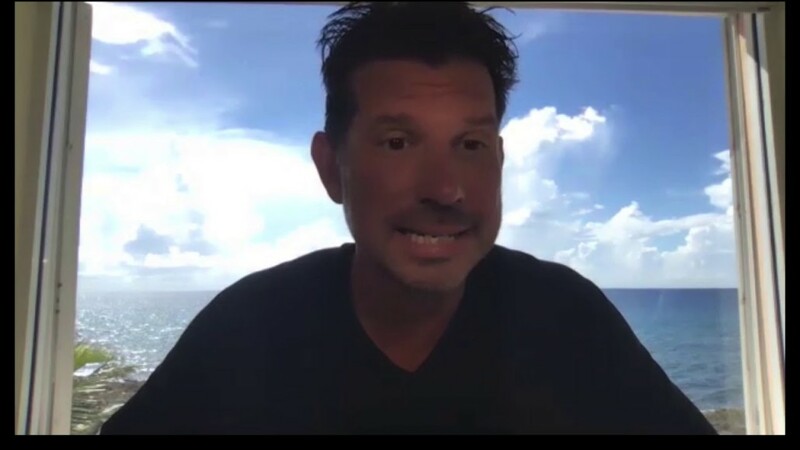 With being on a call with somebody like Alberto, how are you gonna fail? I think your success is gonna be through all your hard work but mentorship is a hacking business so with Alberto being there as my mentor, I can’t even say anymore. It’s just a blessing. That’s pretty much what I have for Alberto. I’m gonna go through my struggles but like everybody else in the group, they’ve been there. So, when you know you’re not the only one in the boat going through the hard, rocky waters, you’re all gonna make it to your final destination. And with the unpredictable premiums I’m gonna go through my level one and eventually get to my level two. When I did ask Alberto direct questions, it’s not very often you’ll get somebody that’ll just tell you just do this okay? Trust me. So, for me not knowing anybody and I’m talking to somebody literally across the world here and you just gotta put your trust in that. Alberto Riehl:	Yeah. Absolutely. Well, I appreciate the kind words. I don’t know if you’re on the call on Monday. We have two support calls, right? And what’s great about it that surprises people, cuz a lot of times people say what if I give you my money? I gave somebody my money before and then they disappeared. I always have to … Okay, well we’re a little different, right? We have two calls a week now for support live. It’s the last thing on my schedule. I don’t have a time limit. And I really enjoy those calls. If you’re on the one Monday, today’s Wednesday so two days ago we had a record call. The longest call we’ve ever had by far. It was almost three and a half hours. Dan:	Yeah. I was in that. Alberto Riehl:	And [inaudible] about two and a half hours into it I had to pause for a second and I called my wife and I was like can you please send me an espresso and a glass of water and an energy bar? I was like wow, I had no idea we were gonna be on so long but yeah, we stayed there til anybody that had questions and anybody that had anything they wanted to go over, that’s important to me that they get their questions answered. If they’ve made the commitment to their business, to their family, to themselves and to us, then I wanna make sure that we’re there for them. And I just had a meeting with my staff yesterday. It looks like we’re going to be adding a third call, so now we just keeping making the program better, more service, more support. Now instead of two live calls a week we’re gonna go to three. So, thanks for that. And Dan, what’s been your biggest takeaway so far in the program, Predictable Premium? Dan:	Biggest takeaway? Just the structure of how you do it. I’m with another company and obviously when they go over their production … I mean, their product presentation, they have the presentation, power slides. They have all these other tools. And my takeaway from you is just pretty much … I know about the third party stories but my takeaway is how you utilize rich dad, poor dad. You kinda make your client think a lot more how they’re gonna save their money and handle their finances. Dan:	My takeaway is that. Helping them focus on that versus a PowerPoint where my company will show all the brochures; the typical style like that. Just totally different from how the normal … Well, I haven’t been in insurance long, but from my company, how they do it. Dan:	So, takeaway is just different. Alberto Riehl:	Different than the traditional way. Definitely.